Jennifer is certified as a Family Law Specialist by the State Bar of California Board of Legal Specialization. She earned a B.A. in Law and Society from the University of California at Santa Barbara and her law degree from Santa Clara University. 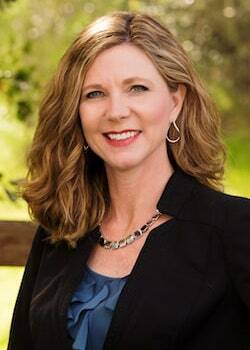 Jennifer is a member of the Association of Certified Family Law Specialists, www.acfls.org, and member of the Santa Clara County Bar Association and is a member of the Family Law Executive Committee of the Santa Clara County Bar Association. Jennifer has lectured at multiple seminars for the Santa Clara County Bar Association, and Santa Clara University School of Law, and also serves as Judge Pro Tem for the Santa Clara County Superior Court. Since becoming exclusively a family law attorney in 2000, Jennifer has acted both as litigator and mediator. She has successfully handled a variety of complex family law cases involving domestic violence, child custody/visitation, child support, spousal support/alimony, financial property, and divorce. She also handles other areas of family law, including paternity, postnuptial agreements, prenuptial agreements, annulment, legal separation, and stepparent adoptions and mediation. Dealing with real people, helping them solve their problems, and making a real difference in their lives and the lives of their families is important to her. She is married and has three children. When she is not busy practicing law or spending time with her family, Jennifer enjoys traveling, reading books, and visiting with friends. To speak with Jennifer Mello for your complimentary, 20-minute phone consultation, call Mello & Pickering, LLP at (408) 288-7800 today.